A MURDER IN MANSFIELD What happened to Collier Landry's half-sister? A Murder in Mansfield, from Academy Award-winning director Barbara Kopple and filmmaker Collier Landry, is the story of the murder that shook Collier’s life apart when he was just twelve years old. In the early morning of December 31st, 1989, Collier’s father Jack Boyle murdered his wife Noreen, then buried her body beneath the foundation of a house he’d bought out of state. Jack was found guilty and remains in prison, but the trauma of the event was too great for Collier’s remaining family, who turned their backs to him. For the past 28 years, he’s had almost no contact with his siblings — neither his sister by adoption, who was three years old at the time of the murder, nor Collier Landry’s half-sister, born the following year. Collier explained A Murder In Mansfield‘s purpose in the context of one especially difficult scene: He and the lead investigator in his mother’s murder case open up the case file, and Collier allows himself to look, for the first time in his life, at the photos of his mother’s body after police discovered her. 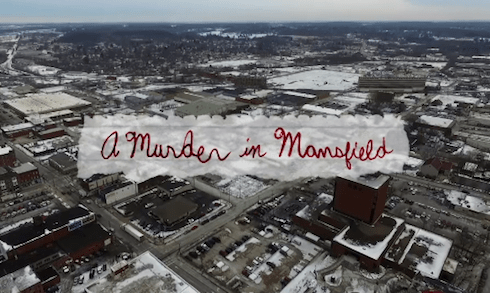 But, A Murder In Mansfield has granted Collier himself a release, the themes of trauma and vulnerability were on full display during the documentary’s pre-production. As he and director Barbara Kopple revealed during the film’s run on the festival circuit, the production was unable to get any of his biological family to participate. That includes Collier Landry’s half-sister, whose absence in the film becomes a looming presence thanks to archival courtroom footage featuring the half-sister’s mother Sherri, who was Collier’s father’s girlfriend at the time of Noreen Boyle’s murder. When an audience member asks if Collier has had any contact with Sherri or with his half-sister, Collier responds that he has — but that the result was disappointing. 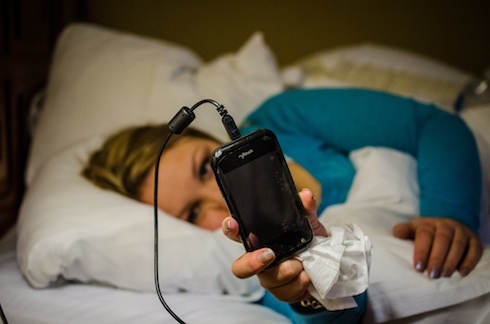 A Murder in Mansfield makes its world television premiere Saturday, November 17th at 9 PM on Investigation Discovery. “Witness to Murder,” Collier Landry’s Dr. Phil episode, airs Wednesday, November 14th. Click here to check your local listings for the specific time.